The TUFF Block Muscle Hooded Fleece is a close-fitting design allows a natural range of motion for whatever your workout brings. These shirts are known for their premium quality, as well as ability to stand up to a washing machine (will keep size and color after many washings). I bought the cloths for my husband. The cloths have a flattering fit and are comfortable. 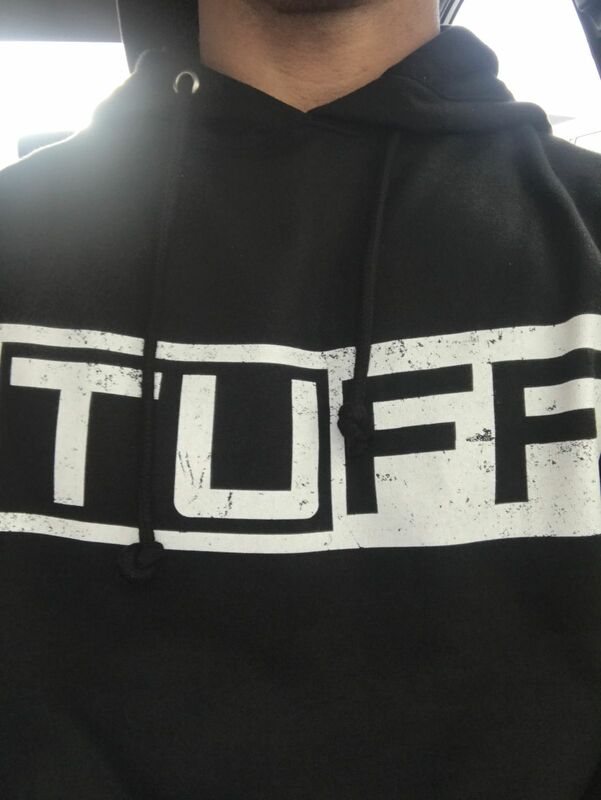 Great to read that your husband's TUFF apparel fits well and is comfortable. #STAYTUFF !! I love my sleeveless hoodie — perfect fit, very comfortable, and looks great. I’ll definitely be ordering more! Amazing sleeveless hoodie, true to its size and comfortable as heck! overall great product. Aaron D. Reviewed by Aaron D.
Hi Aaron!! Love your review!! Much Respect and #staytuff !! Tobin M. Reviewed by Tobin M.
This is by far my favorite hoodie in my closet. It is so comfortable that i need to get more.